Welcome home! Youâll be minutes away from 417, East Colonial, Boardwalk Bowl, Valencia College, UCF, the Orlando Executive Airport, nearby shopping, dining, grocery stores, highly rated schools, downtown and The Waterford Lakes Town Center. Donât choose between the fun of the city and the quiet of the country--this hidden gem in the woods is centrally located but tucked away for privacy. Youâll love being on an oversized lot with a big yard to play in. 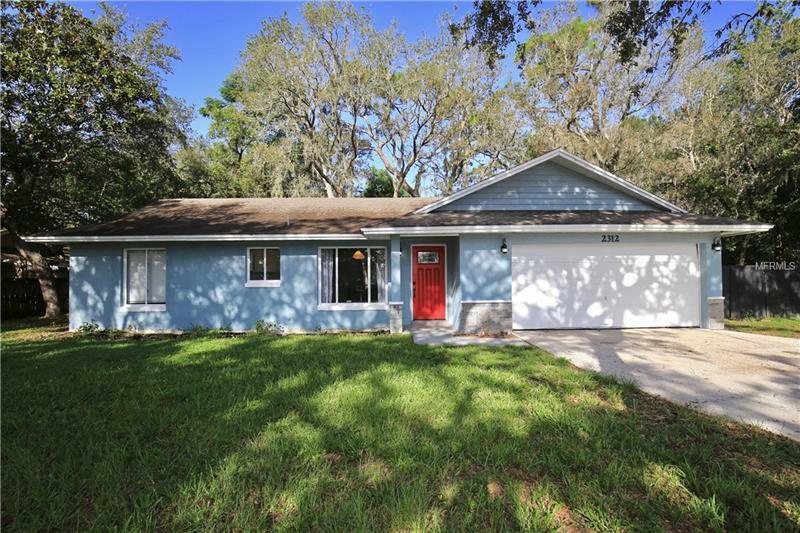 At the end of the cul-de-sac, this beautiful updated home boasts curb appeal with bright colors and a fenced in front yard with light posts. Hosting family parties is a breeze with a long driveway for parking, screened lanai, covered patio and huge backyard with a captivating nature view. Inside youâll find tall vaulted ceilings, wood look tile floors, and modern light fixtures. The great room is spacious, full of natural light, and features a stone facade gas fireplace. The kitchen houses stainless steel Frigidaire appliances, trendy wood countertops, recessed lighting and a sunny breakfast nook. The master suite features access to the lanai, a walk in closet, and an upgraded bathroom with a walk in shower, presenting a rainfall shower head, niches and decorative tile. The second bedroom/nursery features a neat mountain design on the wall and the luxurious guest bath is spotless with a modern design. No HOA! No rear neighbors! Brand NEW ROOF and NEW A/C!! Don't wait to visit this private nature getaway just minutes from shopping and recreation, call now!